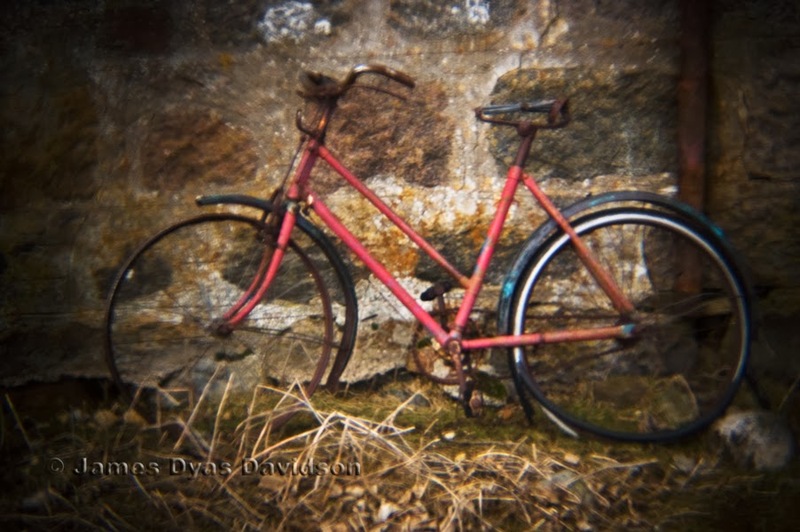 I have been visiting this abandoned farmhouse, Blairglass in the Gairn Shiel area for nearly 10 years now and it never ceases to amaze to me that this old bike is still there and, incredibly, still leaning upright against the wall, despite all that the Cairngorm winters throw at it. I can't find any information about Blairglass farmhouse and farm, which surprises me as it was an extensive and substantial farm. The last occupants had some of their belongings dumped near the house. Who lived here and why did they leave? Who owned the bike against the wall? Blairglass farmhouse has a modern door on it and is locked, suggesting that maybe it is still used for shooting parties to have somewhere to go for a dram and food. In the summer, someone puts up many beehives nearby. I wonder if there was always bees kept at Blairglass? If only that bike could talk!